If you are looking for apps to access your smartphones via computers, TeamViewer has released one. 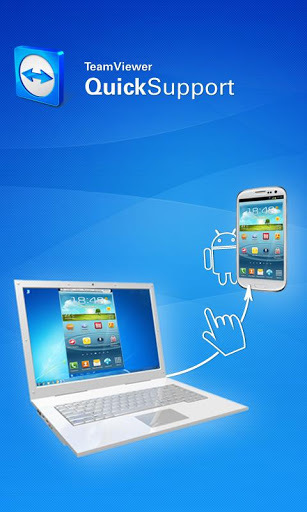 The free app TeamViewer QuickSupport for Samsung smartphones and tablets enables you to remotely control these devices. The app supports Samsung phones and tablets with original firmware and Android operating system starting from version 2.3. On the Android device, install the QuickSupport app via Google Play. On the computer, install the All-in-One TeamViewer. When you run QS on Android, you will see the ID. Then run the TeamViewer on your computer and enter the same ID on the window to connect. Once connected, you can control the Android device using your computer keyboard and mouse. You can also capture screenshots, do file transfer, configure the quality. The software is also smart enough to detect keystrokes like <PrtScn> and will prompt you if you want to send the keystroke to the Android device to do screen capture. While connected to TeamViewer, you can still directly use the Android device normally. Whichever way you access, the Android screen will be refreshed on the computer. I find it extremely useful, say, when you are charging your phone in your bedroom, or monitor what your child is doing on your Android device. 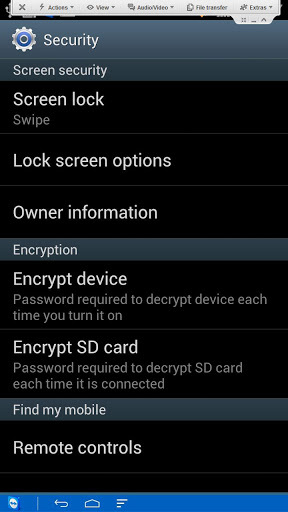 In both cases, you could continue to access your Android device via your computer. The remote session is connected to the TeamViewer server, so an Internet access is required. There will screen refresh lags, but mouse controls appear to respond rather swiftly on the Android device. TeamViewer is working with other manufacturers to extend this app. For now, only Samsung devices can officially enjoy this function. As a free app, I have nothing to complain, but a great THANK YOU to TeamViewer for creating this convenient app. Visit the TeamViewer website for other remote access solutions.